Upload your own hi-res artwork and create custom iron on fabric labels. No sewing necessary! 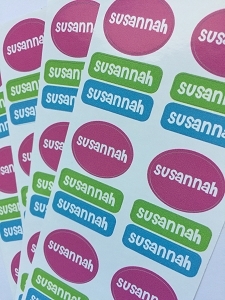 Available in a few sizes for a multitude of different uses...brand labels, care labels, size tags...you name it! Custom iron on labels are great for quilters, crocheters, and anyone who lovingly makes goods by hand.